You must be a member of the Viña del Mar Mix & Mingle Group to attend this activity. Would you like to join this group? Let´s discover new vineyards and wineries in our beautilful region. 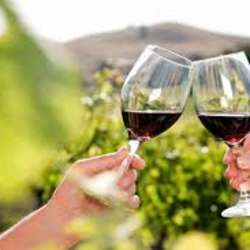 In this Wine Tour, we´ll find out how wine is made, stay in beautiful wine growing countryside, enjoy tastings and lunch. Flaherty Wines is a boutique winery in the Aconcagua Valley , specializing in red blends. The owners Ed Flaherty and Jen Hoover are two Californians who came to Chile in Protected content work a harvest and then never left. This is a wonderful opportunity to meet new people!!! !....Tasting wine and delicious lunch at the restaurant in the same vineyard. Have fun and friendly get-together, enjoy relaxed atmosphere. We decide CARPOOL and share travelling costs.